October 5-19 in Vatican City. In a recent announcement, the Holy Father has designated Sunday September 28, 2014 as a day of prayer for the synod, the topic of which is, “”The pastoral challenges of the family in the context of evangelization.” along with that, a prayer guide has been issued by the Holy, that invites the faithful – churches, parishes, religious houses, associations and movements – to pray for the success of the Synod in the days before and during the Synod itself. 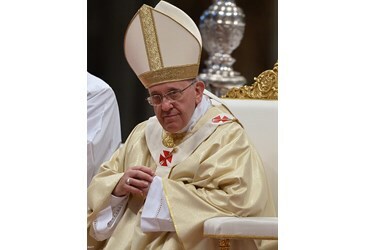 The guide includes a prayer composed by Pope Francis for the Synod, as well as a series of intentions that may be offered the Prayers of the Faithful. , which has the complete prayer guide as well as some great information on synods in general and the October Extraordinary Synod itself. This synod is a huge deal, and will require much prayer and preparation. It also requires the participation of every single one of the Faithful throughout the world. That means us. The fate of the family is not in the hands of the Pope and bishops. It’s in our hands, and one concrete way to accept that responsibility is to join in the Holy Father’s prayer for the Synod.